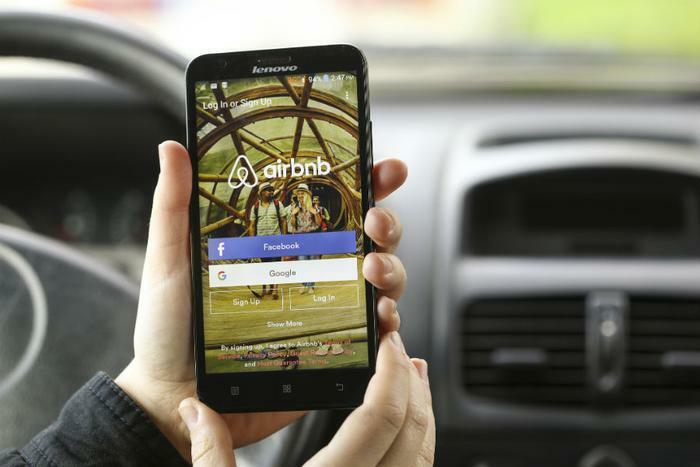 Travel industry giant Airbnb is continuing to expand its reach with a new app feature allowing users to reserve a table at nearly 650 restaurants in 16 U.S. cities. "The ability to book reservations at a curated selection of restaurants is part of our ongoing commitment to focus on the entire trip, not just homes, and follows the launch of Experiences last year," the company said in a statement. So Airbnb, the app that matches lodgers with people renting a spare room, condo, or house, is taking what it calls the next logical step. Effective immediately, consumers can use the Airbnb app to reserve a table at nearly 650 restaurants in the U.S. Among the top-shelf restaurants included in the app are Thip Khao in Washington, D.C., Petit Crenn in San Francisco, Kismet in Los Angeles, and Bateau in Seattle. Airbnb says the restaurant feature will prove especially handy for international travelers. While in a different country, guests might not be familiar with local reservation sites or be able to translate online systems into their own languages, the company says. The new feature is powered by Resy, a restaurant booking app. There is now a dedicated restaurant tab on both the Airbnb website and app, allowing users to search by a number of different parameters. You can sort restaurants by the cuisine they serve, or break them down by which meal you want -- breakfast, brunch, lunch, or dinner. Resy picks the available restaurants, judging them on overall quality and making note of which ones are local favorites or have won awards or other recognition. Airbnb's Restaurant Spending Report shows its guests spent over $6.5 billion at restaurants last year in 44 markets around the world. An accompanying survey shows nearly half of travelers from the U.S. prefer restaurants that have been recommended by the local population. More than half said they would like to have the option of dining out or cooking in when they travel. Thirty percent of U.S. travelers who have traveled outside the country said they find it difficult to find good restaurants that are favorites among locals -- not just tourists -- when they travel. Currently, about half of Americans who eat at restaurants when traveling say they usually choose a restaurant by asking the hotel concierge.